Nelson Semedo is a diamond in the rough, having come up through the youth academy at Benfica before bursting onto the elite-level scene for both club and country, in this case, Portugal. They call him Nelsinho, a fitting name for this Portuguese jewel, who rose quickly from Benfica’s lower categories in 2012, and was sent on loan to Fátima for one season, only to return to Benfica before cracking the first team in 2015. After debuting in the Portuguese Super Cup that year, Semedo went on to appear in 63 games for Benfica the following two seasons, including 11 in the Champions League, giving him valuable continental experience that he’ll need at Barça. 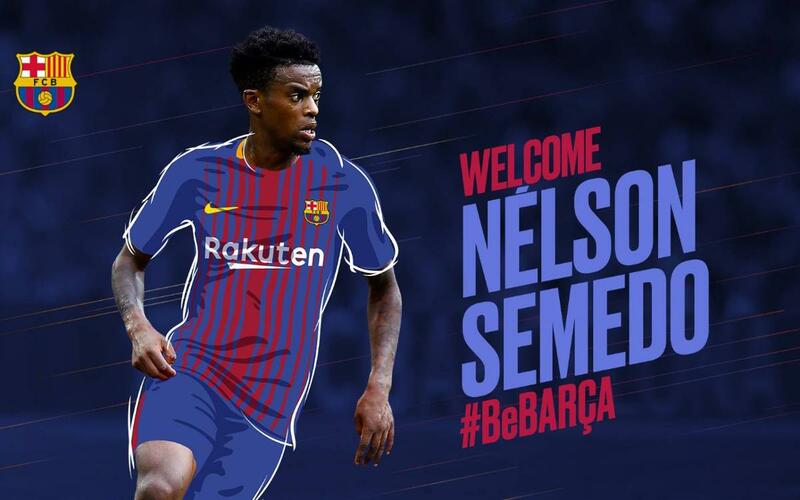 Semedo has plenty of speed that can make him a true menace when Barça has the ball and a top-notch passing ability that will come in handy when he’s looking to set up Messi and Co. in the final third. When he keeps it, Semedo’s footwork and dribble can take him around, and through, defenders of all shapes and sizes. And at the other end of the pitch, Semedo is a tough nut to crack: he led the Primeira Liga, Portugal’s top flight, in successful tackles last season. With end-to-end skills, the young full-back helped Benfica to five domestic titles in his short time there. Born in Lisbon, Samedo also plays for the Portugal national team, which took third place in this summer’s Confederations Cup. Welcome to Barça!